The average cost of remodeling a kitchen is a whopping $22,000, according to consumer data. 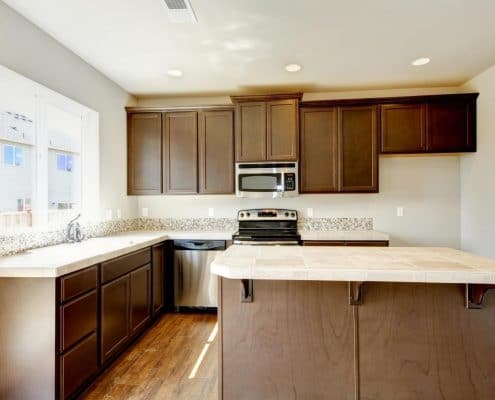 Whether you want to remodel to increase the value of your home, or you feel your kitchen needs an update, you might not have an extra 20K to shell out to make your dreams a reality. Thankfully, you don’t have to hire a decorator or bust out walls to give your kitchen a brand new look. 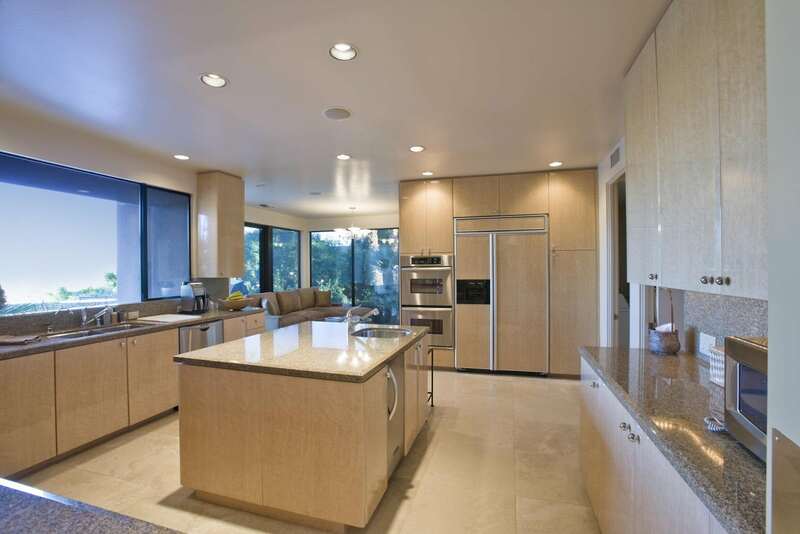 Remodeling with creativity and a bit of elbow grease can save you thousands of dollars. Read on to discover five ways to update your kitchen for less. Before deciding what to change and how much money you’ll need to spend, you must first take an honest look around your kitchen with a few things in mind. Do you plan to stay in your home long term, or will you be selling soon? Look at your remodel from the angle that makes the most sense financially. If you are living in your forever home, spend your money on changes that will bring you joy and make your life easier. If you know your home will be going up for sale, resist the urge to make changes that are quirky or reflect your style. Bright yellow walls might look warm and feel inviting to you, but real estate specialists suggest neutral colors sell homes more quickly. Old appliances are known to pull more energy, costing you more money to run. 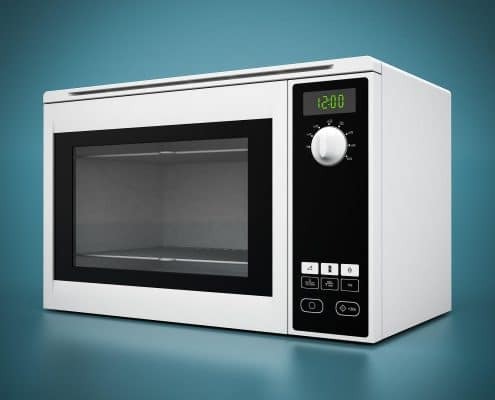 Replacing the microwave you’ve had since your college days could be a simple and inexpensive way to update your kitchen. Likewise, upgrading your old coil-top stove to a modern induction cooktop can enhance eye appeal, and as a bonus, induction cooktops are touted as more energy efficient than their coil and electric counterparts, saving you money in the long run. If it’s in your budget, replacing appliances with matching models can up the wow factor of your kitchen by creating a cohesive feel. Did you know you can get like-new appliances for up to 70% off retail price by shopping at scratch and dent warehouses? Even big name companies like Sears and Best Buy sell their less than perfect models at a significant discount. It is worth looking into because often the dents or scratches are in places that won’t even be visible when you install the appliance in your home. Be sure to look for appliances with Energy Star ratings, which are government recognized energy savers and will also save you money on your electric bill. You can also save cash by installing the appliances yourself. Be sure to measure the appliance and the area it will go before you buy, as frequently scratch and dent warehouses do not take returns. Proper lighting can work wonders in creating an updated space, and thankfully, it doesn’t take an electrical degree to swap out fixtures. Installing an eye-catching light fixture such as a chandelier, or evoking a contemporary feel with dimmable lighting, will make a quick impact. Your new and modern lighting might also serve as a focal point, taking the eye away from other areas you might not be able to afford to change. Adding under cabinet lighting is an excellent choice to modernize and brighten up your kitchen, and it can be inexpensive and DIY friendly. Choosing simple plugin or battery operated styles will get you the look you want for less. If the lighting you desire requires rewiring, contact an electrician specialist in your area, but prepare to spend upwards of $80 an hour for labor. Real estate specialists say less is more when it comes to showing a home. Even if you do not plan to sell, removing clutter from your kitchen will make your space feel larger, costing little to no money at all, but creating a massive payoff in ambiance. 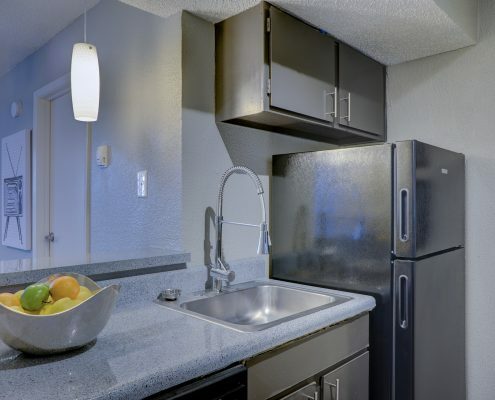 Countertops: A good rule of thumb is to keep those appliances you use more than once a week in their designated spot on the countertop while stowing away the ones you use less often. Also resist the urge to use your kitchen counter as a catch-all for mail, receipts, and other paper items. Invest a few dollars into a handsome basket for hanging on the wall to hold your important papers. It will double as storage and decor. Refrigerator: Your kitchen will look much more organized and streamlined if you keep the magnets and papers most people attach to their refrigerators to a minimum. Sink: Installing a hanging basket to the inner door of your under the sink cabinets will create an instant command center for sponges, soap, and other clutter. After you’ve followed the above tips and have money to spare, consider adding a few extra splurges that will pull it all together without breaking the bank. Perhaps a farm style milk pitcher with flowers, a funky Ikea wine rack with a few bottles of your favorite red, a piece of art you love. 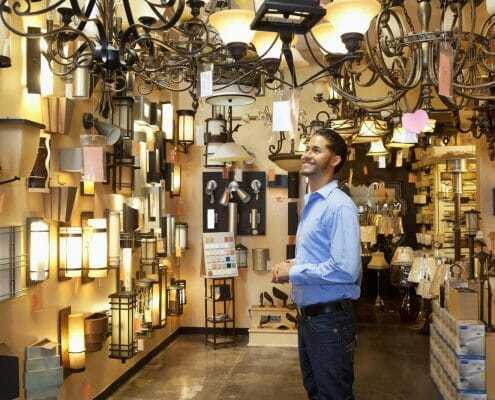 Now bask in the glow of your modern light fixtures, and congratulate yourself on a budget remodel well done.